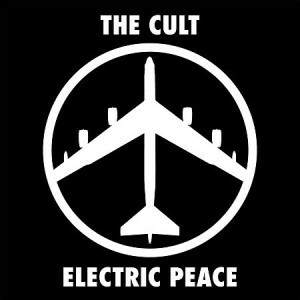 Unavailable for 13 years, The Cult’s album Peace has now been bundled with their album Electric in a two-disc set called Electric Peace. A decidedly longer opening and a much more echo-y Ian Astbury vocal leads off the bonus track of “Love Removal Machine,” which opens this 22-song set. (The original “Love Removal Machine” is here too, a much more contained and better produced version in my humble opinion.) The strutting “Wild Flower” follows, with the decidedly groovier (and struttier) “Peace Dog” after it. I love the low, slightly clicking bass of “Lil’ Devil,” with its truly commercial, nearly sing along chorus. The bonus “Peace Dog” is certainly more open and grander in its beginning Billy Duffy riff than the original version; it really bounces here. The perfect hard backing with growling Astbury vocal shakes and shivers “Aphrodisiac Jacket” one of the better tunes from the original Electric record and one that current Cult bassist Chris Wyse told me he really likes playing. Duffy plays a truly cutting, nasty lead here as well. It’s matched by a bonus version of the song and “Electric Ocean,” the high, frantic, jangly electric guitar bleed and straight ahead drumming of “Bad Fun” and nasty “Outlaw.” Duffy’s big riff strut informs “King Contrary Man” another Astbury gem. You can’t beat both of these albums and the bonus tracks. All strong stuff from a band still out there strutting their stuff.